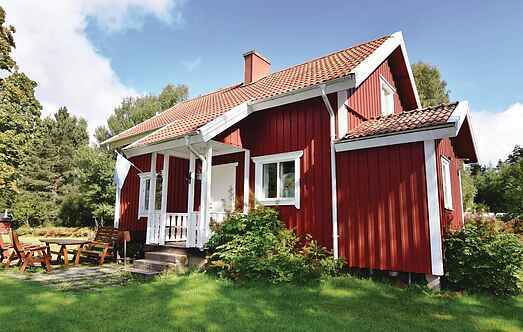 Find a vacation home to rent in Herrljunga Municipality from our list of vacation rental properties. Campaya has over 6 vacation homes available in Herrljunga Municipality, which give you the possibility to locate a unique accommodation in Herrljunga Municipality which completes your check-list in search for the perfect self catering vacation apartments in Herrljunga Municipality or vacation villas in Herrljunga Municipality. Isolated cottage in a very fabulous environment. Kept grounds to play. They also have a wood-fired sauna with terrace and view of the lake. Nice holiday home which is wonderfully situated. There are approx. Not far to Skara entertainment park. Herrljunga 6 km. Simple holiday home in very quiet and isolated surroundings with woods, elk and deer as the nearet neighbours. Situated by a small forest lake with bathing possibilities.